As I've made pretty clear in my posts here, one of the most beneficial things I've found about meal planning is giving my family a varied and well-rounded dinner menu for the month. Because we like our veggies around the NMOTB house, we go through produce like no other. The only thing that bothers me sometimes is that I've been known to get stuck in a produce rut. We generally cycle through the same 5-10 vegetables/preparations a few times a month and that can get awfully boring. 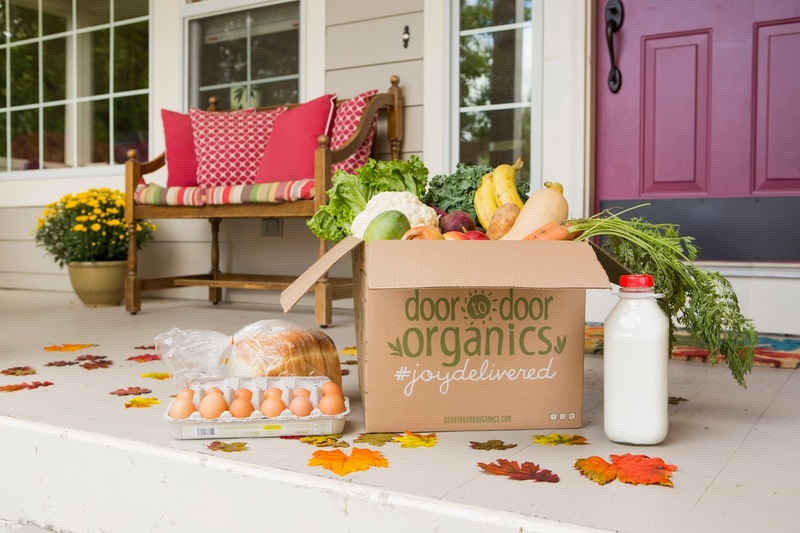 Enter, Door to Door Organics Produce Delivery. When our box arrived (with the apt slogan, "Joy Delivered"), it was like Christmas Day. I don't think I've ever torn into a box so excitedly before. The medium vegetable box we ordered was literally brimming with gorgeous, fresh produce. I also added a few things from their fresh market (they have practically EVERYTHING you could want out of a natural food store). I might be hooked forever. DTDO tasked me with creating an original recipe to share with you all as part of a giveaway we'll be doing this week on the blog. Two lucky Chicago-area readers will receive a $50.00 gift certificate each toward your own box of Joy Delivered. I wanted to share a recipe that was easy to cook on a weeknight (because in the NMOTB kitchen, those are the best meals you can ask for) as well as a recipe that would offer a way to use any number of the great organic vegetables that would come in a produce box delivery. This recipe is totally customizable, so make it with your favorite combination of vegetables, use your favorite jarred or homemade marinara, and whatever pasta strikes your fancy. - Drizzle some of the EVOO in a large skillet and warm over medium low heat. Add sliced garlic and heat until fragrant. - Add diced onion and toss with more EVOO. Heat until soft/translucent. - Add all vegetables into pan (and toss with more EVOO if things are a little too dry, you can tell it's one of my favorite ingredients). Stir everything up, season with Italian Seasoning and a little S&P, and cover the vegetables. Cook for 10-15 minutes or until vegetables are softened, stirring frequently. - Meanwhile, boil your pasta in salted water. If using fresh, this takes less than 5 minutes, so save enough time for whatever you're making. - Once vegetables have softened, pour marinara and can of beans into the skillet and stir to coat everything. Taste and adjust seasonings. - Add pasta and spinach and toss until spinach is slightly wilted. - Garnish pasta with fresh cheese. We used this delightful Olive Oil and Rosemary asiago. Serve with crusty bread for mopping up the delicious sauce and a nice green salad featuring gorgeous DTDO produce! Are you ready to make your own delicious recipe with a box from DTDO? Below you'll find all of the great ways to win using my fancy Rafflecopter giveaway widget. The only bummer of this giveaway is that you must live in the greater Chicagoland area to enter (unless you live in Chicago...in which case, there are no bummers!) You can search for your zip code here to see if you qualify. The giveaway ends at midnight on Friday, October 24, and I'll be announcing the winner here on the blog on Friday morning! However, because they're so awesome, DTDO is also offering $10.00 off your first order exclusive to NMOTB readers. 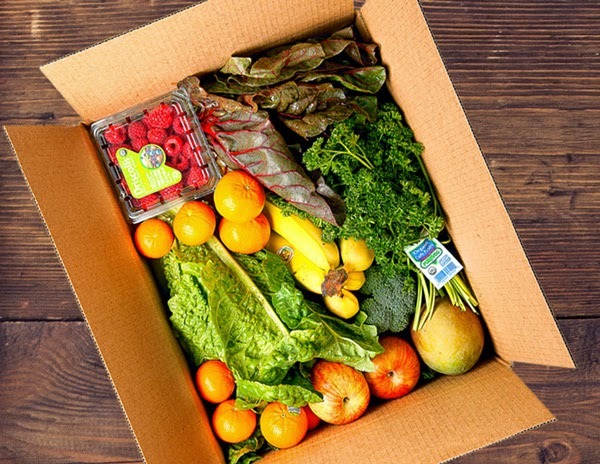 So even if you don't win the giveaway, you can try out produce box deliveries at a discounted price. Follow the link here to get started. Follow the Rafflecopter directions below for multiple ways to enter the giveaway and may the odds be ever in your favor! Though Door to Door Organics provided me with a complimentary delivery for review on this blog the opinions expressed in this post are solely my own. Obviously I barely have the time to wash my own hair daily, so I'm not going to take the time to write about a product I don't fully endorse.